How often do we, as educational professionals, hear the expression “closing the gap”? We hear it and we use it when speaking of Pupil Premium (and Pupil Premium Plus) learners and when we speak about the progress made by our young people with SEND. The phrase itself can become something of a hackneyed expression, all-too-often founded on a simplistic view of Pupil Premium learners as a single, homogenous group of students. The difficulty for me, and for many with whom I discuss this issue, is that if we as SEND leaders in schools were to even contemplate addressing the needs of our SEND learners as if they were a single, homogenous group, all with the pretty much the same needs, then we would be ridiculed – and rightly so. 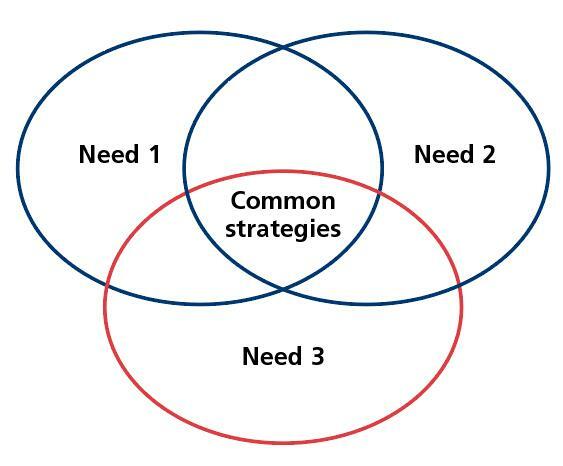 Why, therefore, do so many educational professionals insist on addressing the needs of Pupil Premium learners without first identifying exactly what those needs are? How can we even begin to contemplate closing the gap if we do not know, for each child or young person, what has caused the gap in the first place? We also use the euphemism “disadvantaged” when referring to those young people for whom schools receive Pupil Premium funding. Yet what does that mean? A parent recently replied to me, when we were discussing the fact that the school received Pupil Premium funding for her sons because they were “disadvantaged”, that she had absolutely no idea what the word meant for her family. When we then went on to discuss the precise needs of her children and exactly what we as a school could do to support their progress and attainment, our conversation took a very different turn. As we explored the needs of her sons and the provision that would make such a difference for them in class, what became apparent was that all the issues we were discussing had nothing whatsoever to do with the fact that school received Pupil Premium funding for them. We were discussing the needs of two children and what they needed their teachers to do to support them. The fact that the school received additional funding could of course play an important part in this provision – but none of it could happen, the boys couldn’t make progress and achieve what school and parents believed they should, unless and until their needs were identified. Identify the needs of each student for whom we received Pupil Premium funding. Put in place effective, measurable Wave 1 differentiated provision. Measure and evaluate the effectiveness of our Pupil Premium “spend” in terms of general – not simply academic – attainment and progress. What do we need the child or young person to be able to do in X months that they can’t do now? The “months” element could of course be “lessons”, “weeks” or whatever timescale was appropriate at the time for the young person. What do we need to do in order to support them to be able to do this? Who else do we need to work with in order to support them to be able to do this? What happened was that we were using the “Assess, Plan, Do, Review” strategy of the 2015 SEND Code of Practice to carefully evaluate the learning needs of our Pupil Premium students. We were identifying needs and then responding to those needs, rather than treating them as a single, homogenous group and acting as if each of them, regardless of prior attainment, had the same needs. They don’t and we as a school, as a whole staff, needed to accept that. Does this apply equally to “disadvantaged” children and young people for whom schools receive Pupil Premium funding? Of course it does. The advantage is that for these learners, additional funding is always available – but how schools choose to use that is crucial. As with our SEND learners, provision for those for whom we receive Pupil Premium funding should be dedicated and targeted if we are to make a real difference. Whether SEND or Pupil Premium, we should be making provision which is specifically targeted at perceived need – and building relationships where we get to know what strategies can work for an individual. Every time. Always. What assessment information is being used? What criteria do we have for identification of any needs? How are pupils, parents, staff involved in the planning? What range of provision do we have in place? What support do they have? How are outcomes being monitored? How are pupils, parents, staff involved in the review? What outcomes are being measured and how? How are next steps determined? Relationships can be another key element of our support and we need, as school leaders, to nurture, build and develop those relationships, not only with our students but also – and very importantly – with parents and carers. The SEND Code of Practice calls for schools to meet with parents/carers of SEND students at least three times a year and this is a good starting point for schools to think productively about their relationships with their parents/carers of Pupil Premium learners. In effect, we should, as SEND and Pupil Premium leaders, know the story that all our information and data is telling us about each student. To not only involve parents, but to work closely with them as equals, is significant if we are to do this effectively and to influence outcomes positively. There may well be a need for leaders to mentor and coach colleagues as you guide them through interpretation of data. You will need to know the impact of interventions over a period of time. You may well need to take risks, think outside the boxes and be creative to meet need. Let’s also remember that each parent/carer is the specialist on their child. In 2009, The Lamb Report shook the education world to its foundations and led to the 2014 Children and Families Act, encompassing as it did the SEND Code of Practice. Brian Lamb’s focus was the nature, quality and impact of the home-school relationship and how schools generally needed to rethink their approach to working with parents. Many of us have previously thought and spoke of “hard-to-reach” parents. Perhaps it is more productive to think of “hard-to-reach” schools? In conclusion, let us as leaders of Pupil Premium provision work closely with SEND colleagues, identify need to inform our provision, and build effective, purposeful relationships with parents and carers. Then, and only then, can we say that our provision is on the road to being as effective as possible.